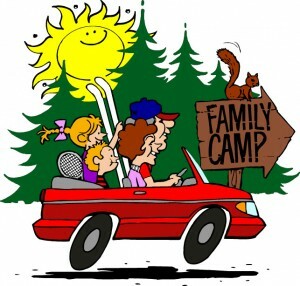 What is Family Camp? Family Camp is an opportunity for all Cub Scouts and their families to enjoy an outdoor camping experience together in a non‐challenging, low‐stress environment. For many young scouts & their families, this may be the first time they have ever slept outdoors or set up a tent. Family Camp is an easy and safe way to learn about outdoor adventure. Most of all, this is an opportunity for our entire pack family to better get to know each other and have some fun! Activities include horseback riding and equine care, hiking, astronomy, fishing and canoeing in a private lake, swimming pool, our wildly popular campfire program, and more! Dates: Begins on Friday, August 1, 2014, (check‐in after 4pm). Ends on Sunday, August 3, 2014, 12:00 noon check‐out. Location: Forest Lawn Scout Reservation/Camp Pollock in beautiful Cedar Glen, CA (near Lake Arrowhead). This property features a camping area reserved exclusively for Pack 811, hot showers, flush toilets, and freshly prepared meals served in the onsite dining hall! Meals: All meals will be provided by the camp, except for the Friday evening meal. Each family is asked to bring their own picnic dinner for Friday evening or eat on the way to the camp. Campers are also welcome to bring their own between meal snacks if desired. What to bring: The basics include tent, sleeping bags, folding chairs, Class A scout uniform, Class B Scout uniform, swimsuit & towel, other casual clothes as needed, and toiletries. A more complete checklist will be provided at a later date. Who is eligible to attend: All scout members of Pack 811 may attend. Each scout must have at least one parent or legal guardian with them in camp. Scouts must all sleep in tents with their parent or guardian – no sleepovers with their buddies. Immediate family members of the scouts may also attend, but not extended family members and other friends. How to sign up: Sign up on-line HERE. Payments can be given to Mike or Jo Rivera at camp fire, or mailed to the Rivera Residence. Payment is required to confirm reservation. Checks should be made out to Cub Pack 811. Questions? Please contact Mike or Jo Rivera.